If you want to find out how much a company can change in a few years, just look at Kia. Only 10 years ago, all Kia were boring cars that few drivers were proud to own. The brand’s only point was in its low-pricing. 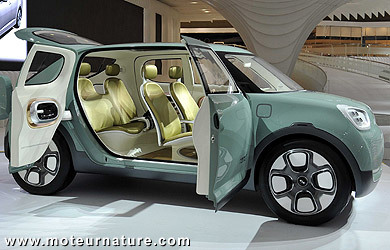 But everything changed when the Korean manufacturer hired famous German designer Peter Schreyer. The man relooked every model, creating a fresh new look for the brand, with a new clean and sharp family face. 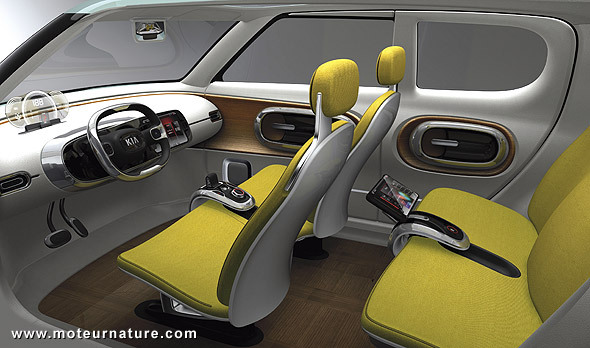 There could be more on the way, as Kia just introduced this Naimo concept at the Seoul motor show. It doesn’t look at all like the production Kia that were recently introduced. It could be a smaller brother to the Soul, as it’s about 8-inches shorter, but 2-inches wider. Time will tell, but this Naimo is for now a wild concept, with rear doors opening the wrong way, like a Mazda RX-8, without a B-pillar. Trunk’s opening also is similar. 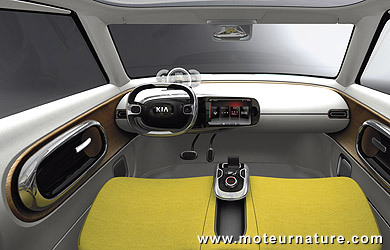 The interior might be even nicer than the outside, with a wooden floor (Korean oak) and a general design that doesn’t make the occupants think they’re inside a car. Engine noise would certainly not be a cause for concern, as this Naimo is electric. Its motor is rated at 107-hp (80-kilowatts) and 207-lb-ft of torque, allowing a top speed of 93 mph. 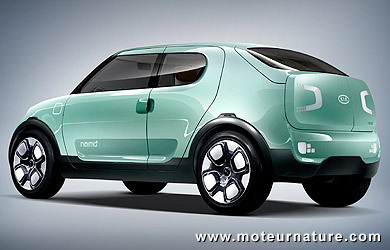 With a 27-kWh lithium-ion battery under the trunk floor, the Naimo should have a range of 124-miles. Which would sound quite good if this Naimo could turn into a production model, but that is far from certain at this time. 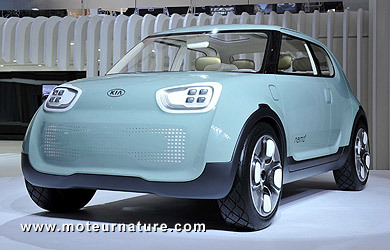 I know Kia (and Hyundai) will build several hundreds electric prototypes this year and the next, but I’m not expecting anything that would make it into regular production before 2013 at the earliest. Could that future model look like this Naimo? 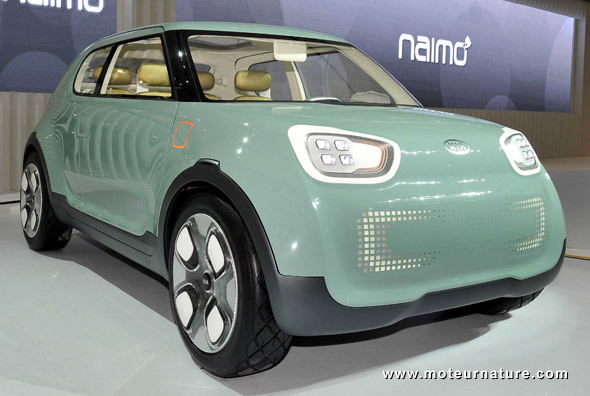 I have no idea, and I don’t know how the brand could manage to sell a new model that looks so different from its new corporate look, but this Naimo would be fun in the streets.